As Asia’s largest supplier of financial cards and personalization services, Goldpac Limited’s business philosophy is simple: Create value for customers with cutting-edge technology. 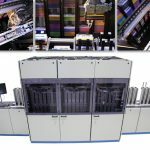 Goldpac continues to innovate and shape the future of the card industry with best-in-class products. With an eye toward trends in design, Goldpac earned the prestigious International Card Manufacturers Association’s (ICMA) 2018 Élan Award of Excellence in the People’s Choice Category for the Filigree My Starbucks Rewards Card manufactured for Starbucks. 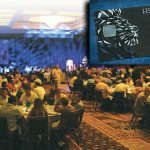 The Élan Awards are the only industry-wide awards for card manufacturing in the areas of card design and development, as well as supplier and personalization innovation. They celebrate the pinnacle of card design innovation, security and technical achievements in the industry. 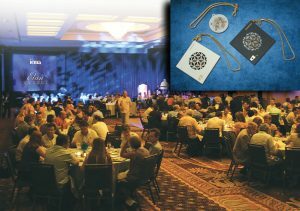 ICMA has offered the awards annually since 1999 to showcase the world’s best cards and technology. Goldpac’s winning card was inspired by the ancient artistic technique of Chinese filigree. The card plays with the contrast in brightness between the gold fibers against a black or nacre background. Finished with epoxy, the impression is one of flowers swaying gently in the wind on a delicate piece of artwork. Goldpac credits winning the People’s Choice Category to their commitment to recruiting the best designers and staying up on the latest trends and production practices. Each year, the winner of the People’s Choice Category is selected by ICMA EXPO attendees. As a leading enterprise within the secure payment industry, Goldpac has devoted its efforts to the creative aspects of product development. As a full card solution provider—combining manufacturing, personalization and card issuing services to create value for customers—Goldpac continues to encourage the widespread use of intelligent, secure payment technology, allowing people everywhere to benefit from the freedom of a safe and convenient payment experience. Since 2003, Goldpac has won 30 Élan Awards across multiple categories, which are a tribute to the company’s technological innovations. The company credits the Élan Awards with boosting their name recognition in the industry and adding brand value. Most recently, they submitted 12 cards for the 2019 Élan Awards. In addition to leveraging their Élan Awards for business opportunities, Goldpac also credits their ICMA membership with providing them with a platform in the global industry to network for business opportunities and resources. Established in 1993, Goldpac is the only secure payment solution provider in China to hold simultaneous certifications by China UnionPay, VISA, MasterCard, American Express, JCB and Diners. As a card industry leader, Goldpac is actively engaged in the development of China’s industry standards. The company has led several projects that include the first EMV program in Mainland China, Hong Kong and Macau, the first provincial social security card project, the first financial social security card, the first citizen card and the first healthcare card projects. Goldpac continues to shape the future of advanced technologies in internet finance, mobile payment, smart city, host card emulation, identity-based encryption and attribute- based encryption systems and attributes much of its success to its employees who are passionate about their work and driven by the company’s core values. Serving clients across the entire Asia Pacific region, Goldpac provides solutions that address the diverse needs of secure payment systems, embedded software and security products, personalization, data management services, card issuance systems, multi-function terminals and custom turn-key solutions, covering a wide range of businesses from financial services, social security and healthcare, to transport, retail, mobile payment, identity, third-party payment platforms and other security services domains.